Note: For hiking enthusiasts the experience of moving through a chosen landscape is joyfully justified. The spaces people choose to traverse often reveal something relevant to their personal stories and dreams. I met a woman last Summer in Baxter State Park, Maine, who, after giving me a ride back to camp with her husband in a pick-up-truck from the edge of a gorgeous old-growth forest, pointed straight at Mount Katahdin in the distance and said: “Now there’s the most beautiful view in the whole wide world!”(image/right) And that’s really all it takes; a good story, or an enthusiastic sentiment, and suddenly you’re hooked, and soon you find yourself making your way to a trail full of wonders foretold by others. 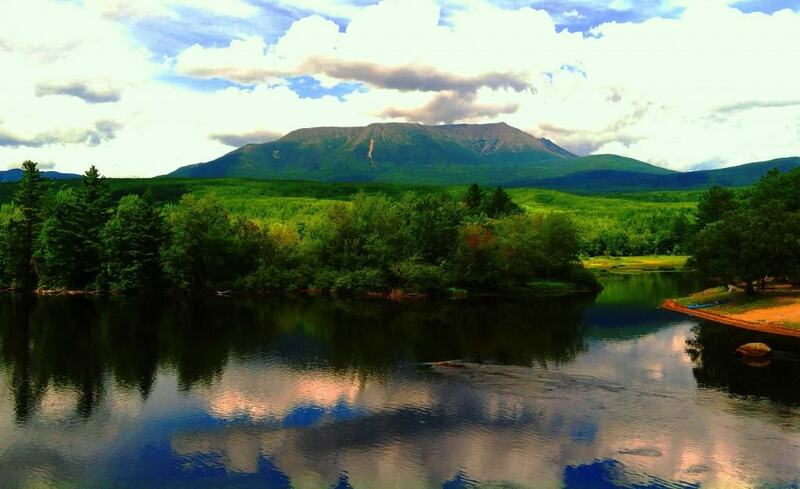 I hiked to the peak of Katahdin the very next day, and it was truly beautiful. There are few trails that contain more of this type of impetus than Celtic ones. They encompass all the qualities that persuade hikers, with epic natural beauty, and an even more epic mythical history. The place featured in the first image above is not a physically domineering expression, like Mount Katahdin, or Mount Snowdon in Wales, but in terms of legends it is absolutely massive. 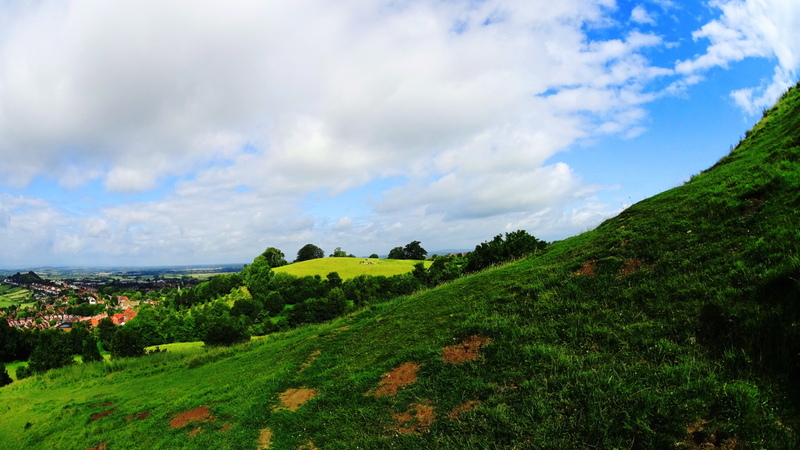 Any hiker passing through Somerset County in England would be totally remiss if they didn’t stop to take this beautiful short hike to the top of Glastonbury Tor, otherwise known as Avalon. Avalon is the English equivalent of Israel’s Mount Zion. 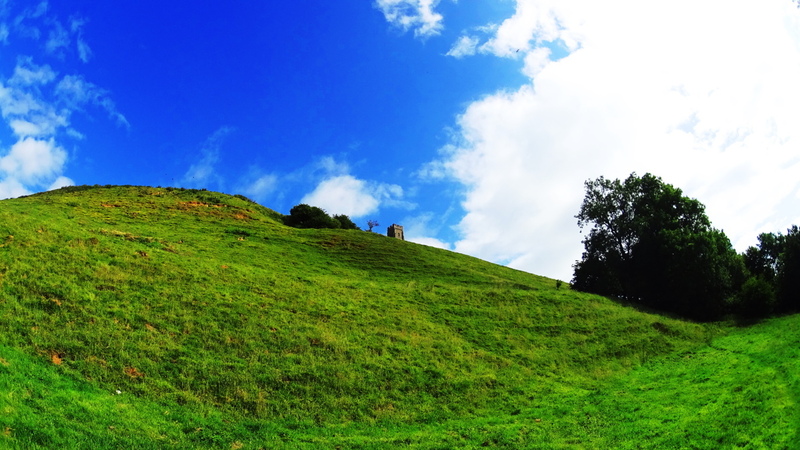 This is a Celtic holy hill which was once a zenith for spiritual practices dating back to the Druids, extending into the Arthurian Legend, and dwindling into the Dark Ages to Medieval times. It is believed that Avalon was once surrounded by water, like many sites in England once were, making it an island. This ecological consideration legitimizes the history of the hill, as scientists do see signs that it was once surrounded by water perhaps 1700 years ago, or more. The brilliant rolling countryside we now see from Avalon, was once a watery stillness that provided protection to its mystics. It remains a brilliant vista to this day. It is also believed that King Arthur was buried here after his epic battle with Mordred, and was ultimately carried across the water by an angelic vessel, laying Arthur to rest at Avalon until the future merited his prophetic return. The Hill of Tara in Ireland (image/below) has similar stories of sanctified kings that are buried in the pristine hills within its vicinity. These kings will one day return when needed in the late future, according to the legend. 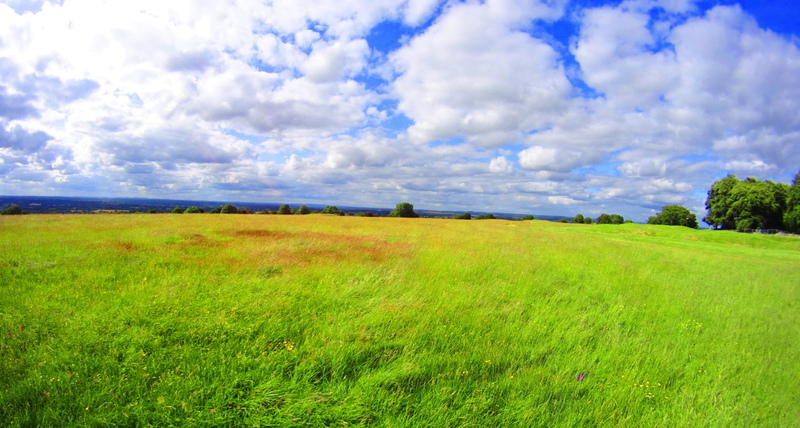 This lends tangible historical relevance to the Arthur Legend, a connection of the use of grand hillsides for the burials of kings, and prophecies of future return in Ireland. There’s a pattern there, and it must have a source. And this is what anthropologists are attempting to find, sources. How much of these beautiful stories are based in reality is for us to discover. The french poet Thomas Malory is responsible for a great deal of the comprehensive Arthur Legend, which he wrote in the early 1400’s as one of the most concise efforts to consolidate the Celtic folktales of England, Ireland, and France. The word-of-mouth myths that Malory utilized are the real priceless items. These stories were so numerous and similar that it made the myths possible, and it seems likely that there is an origin where the very real figures existed once to inspire the entire culture to embrace these themes. During the Saxon incursion of England after the Roman withdrawal around 400 C.E, a wave of Germanic people came from the continent and swept across south-eastern England. Historians have discovered a specific line about halfway into England, where German burials and cultural objects absolutely stop, and English/Celtic items remain. We can deduce historically that there certainly was a leader who stopped the Saxons dead in their tracks. It would have taken incredible conviction, resources, and sacrifice to blatantly stop an incursion, and interestingly enough there just happens to be a legend of a king who did this precise thing, Arthur. This qualifies Avalon, and the entire Glastonbury area as a sacred place on every possible level. Trail: There are a few approaches to the minor peak of 518 feet. You can start from the entrance way coming from the Glastonbury side, at Wellhouse Lane. Simply cross the street and pass the gate to head up the hill. This is near ‘Chalice Well’, a holy site related to the overall scene. A secondary, less ‘touristy’ approach, is to the south-east at the end of Ashwell Lane (above image), where there are countryside homes, horses, and ponies grazing in the fields. You can park your car on the side of the road and take the hedge covered path to the second gate. 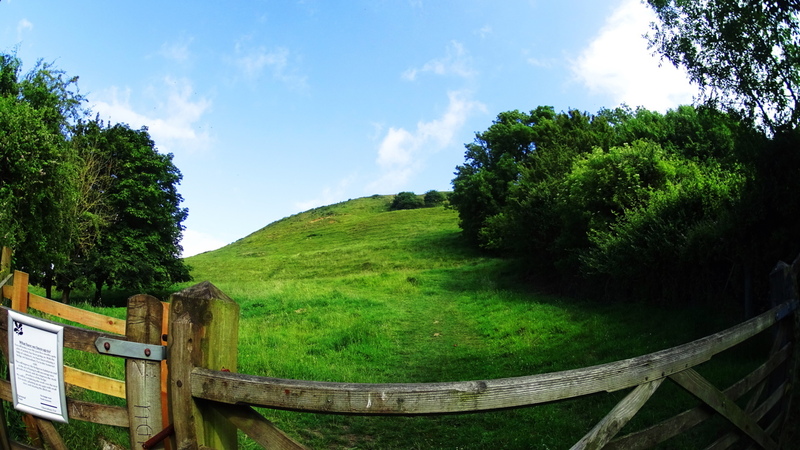 It is at the Ashwell Gate that you pick-up the trail and get your first glimpse of this massive hillside. There is something about it that doesn’t seem natural, as if it is layered beneath by massive ridges which can be seen with the naked eye from a distance. Anthropologists believe that a Celtic hill-fort most certainly rests beneath the surface, among other things. The incline is about 60 degrees, making the approach of any enemies in ancient times almost futile. The hill also glows with a particular type of moss that the oldest sites seem to sponsor throughout the Celtic world. 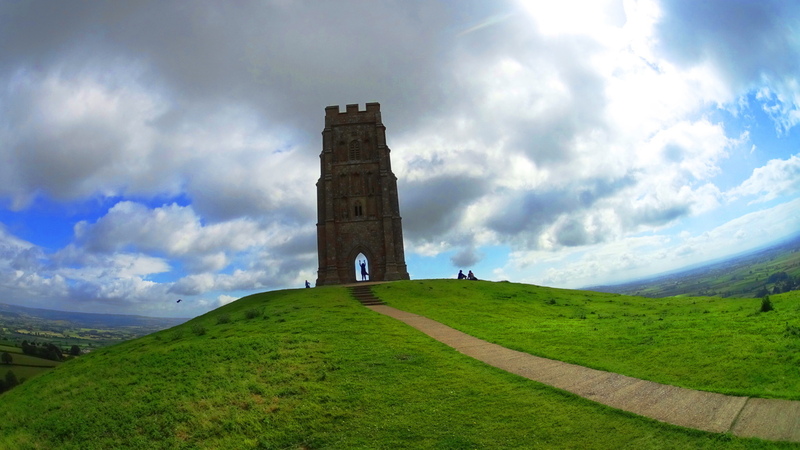 Follow the trail to the south westerly lane that climbs around towards St. Michael’s Tower at the peak. While climbing you may see people invoking Celtic ‘energies’ in the Tower, lifting their arms in praise of the Cardinal Directions and energy-lines, better known as ‘ley lines’, on which Avalon sits. As you climb you will feel that there is certainly something strange going on beneath your feet. It’s like walking on a giant earthen drum. If you stomp the soil in certain places a hollow reverberation can be felt. This is the mysterious feeling that you can only experience actually hiking here, not looking at images. The point is to try to get there. After hiking about 400 feet up a finely crafted pathway, you can look back at the beautiful medieval village of Glastonbury. The hills in the distance are like glowing pastures in the clouds, giving us a glimpse of the security the ancients must have felt from the top of this amazing ‘Tor’. 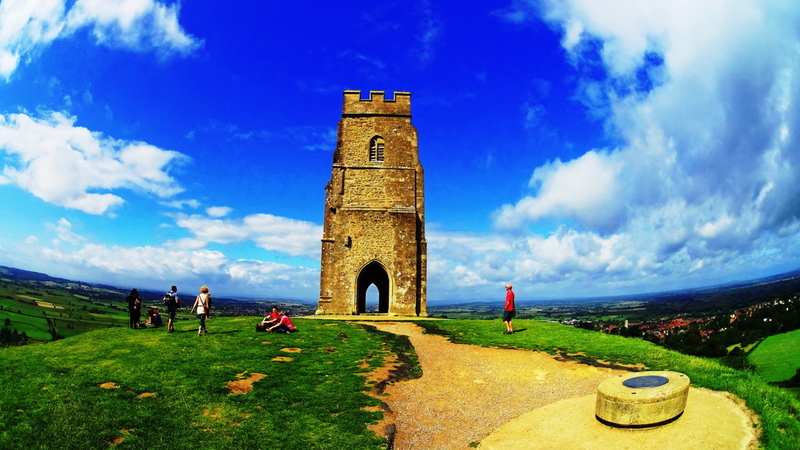 At the top is St. Michael’s Tower, which stands like a stone-antenna sponsoring a 360 degree view of England. There is a specific spot where it is believed the energy of all the directions culminate. It is marked with a circular-stone-step where you can stand and appreciate the moment. This is certainly a place to just plop down, relax, and wonder. 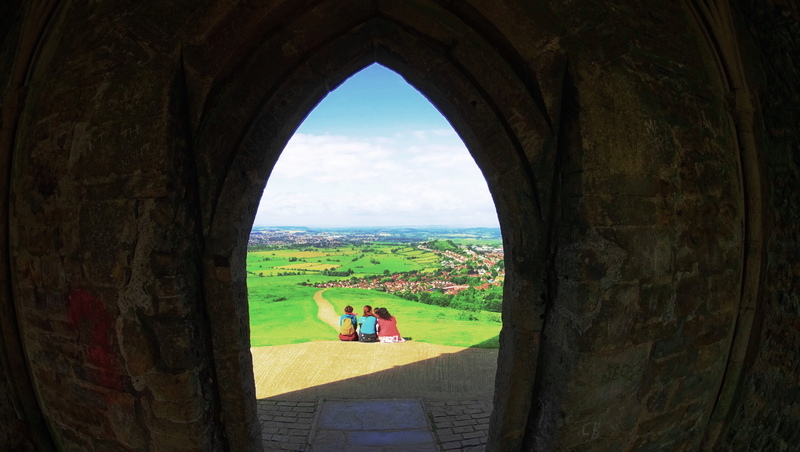 The southerly view looking back on Glastonbury from St. Michael’s Tower is nothing less than a ‘storybook’ vision. 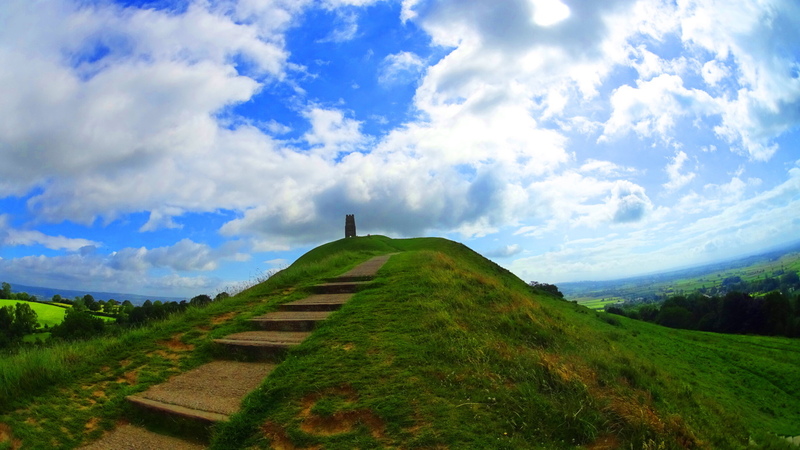 It can only enhance a hikers experience and appreciation to reach the short peak at Avalon, otherwise known as Glastonbury Tor. Glastonbury Abbey is in the distance below, which is a venerable cultural center with historic substance all its own, intrinsically related to Avalon. 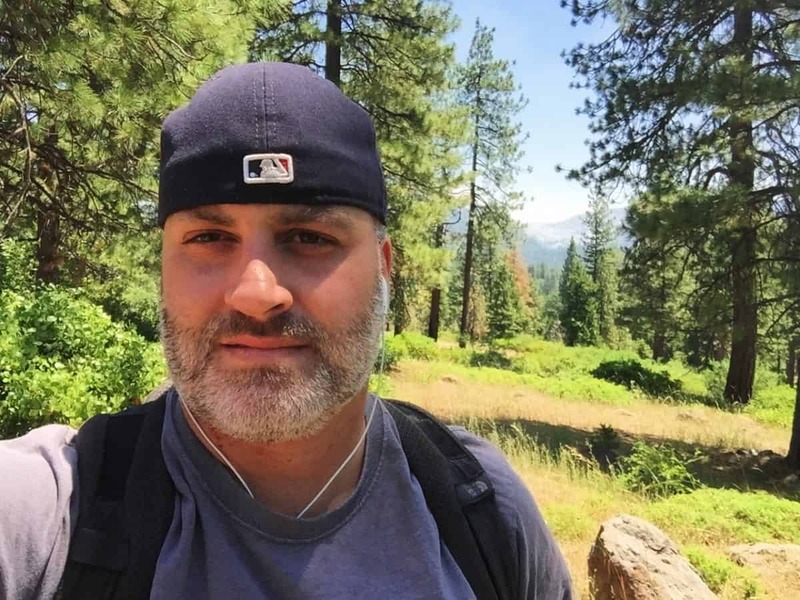 This is a different type of adventure for a ‘veteran hiker’. Here the goal is to accomplish a greater appreciation for the landscape itself, to feel a historic precipice, to absorb the energy of a protected sacred place. If you ingest this feeling you may very well develop a type of ‘sixth sense’ that you can recall at need in the forests and mountains of other places, and perhaps discover something sacred on your own. Avalon is literally part of the essence of everything “Once upon a Time”, and what could be better to seek and find?